Google have been at it again - and by improving their user experience they have moved the goalposts massively in favour of businesses who are staying on top of review management. Google introduce their review filter. We explain how important it will be for estate agents to be ready when their reviews begin to be filtered. Google delete the 'Magic 7' and introduce the '3-pack'. The four agencies with the worst SEO get demoted. How to get into the 3-pack and avoid having to pay for CPC. Google move the goal posts again. This time it's in favour of their own reviews and to the detriment of independent review sites. Now it's certain, if you want your reviews to show, they must be posted to Google. Success stories. We can all learn from these - here are two: one for a client of over two years and one for a recent adopter. Inviting reviews direct to Google means running a significant (and unnecessary) risk. Nearly 6% of all the reviews we process on behalf of all our estate agent clients contain something that could potentially harm the business. Less than 4% of these - that's 4% of 6%, or three per thousand, ever end up being posted live. And finally: An overview of what we have learned by working with our clients. 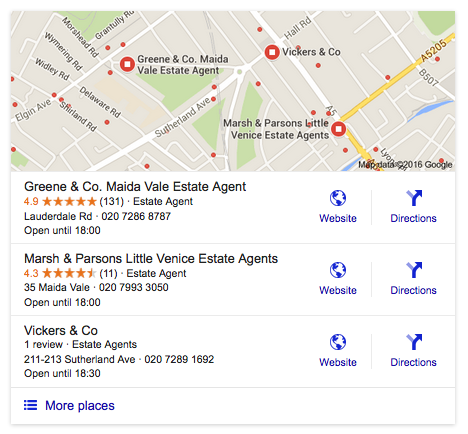 From incorporating reviews into leaflet drops to posting your reviews to your Portal microsite.